In my last post , I mentioned my other two planners that I will be using for 2018. 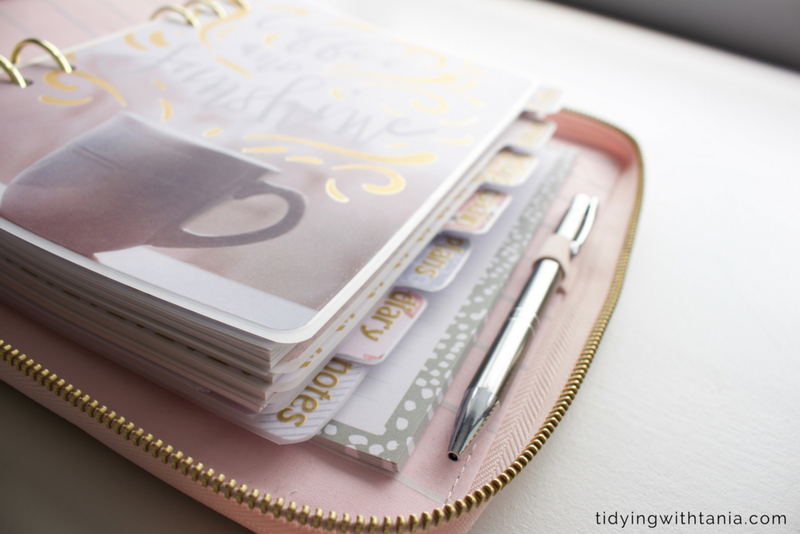 These are my Kikki.K for my day job and my Carpe Diem for Tidying with Tania. So this post brings to you all the awesome details on these two 2018 planners. This is a very good question. It simply comes down to how I work and think and cope with fitting everything in. My Personal planner, Franklin Covey, which I shared in the first post is essentially my catch all, which helps me to see my months, weeks and days with full view of everything that I have to fit in. The other two planners are very specific to that part of my day and the details of what I need to do, and most importantly for me they are separated. I find that I like to work in "compartments" ...yip I just made that up...but it helps to describe how I work and why I have separate planners. If I had all the detail in one I would find it very confusing and overwhelming. Therefore the separate planners really help me to be focused. Obviously the name in itself is particularly motivating and totally apt for Tidying with Tania planner, or as is known my side hustle. This describes my wee business that I am slowly working on while doing my day job. 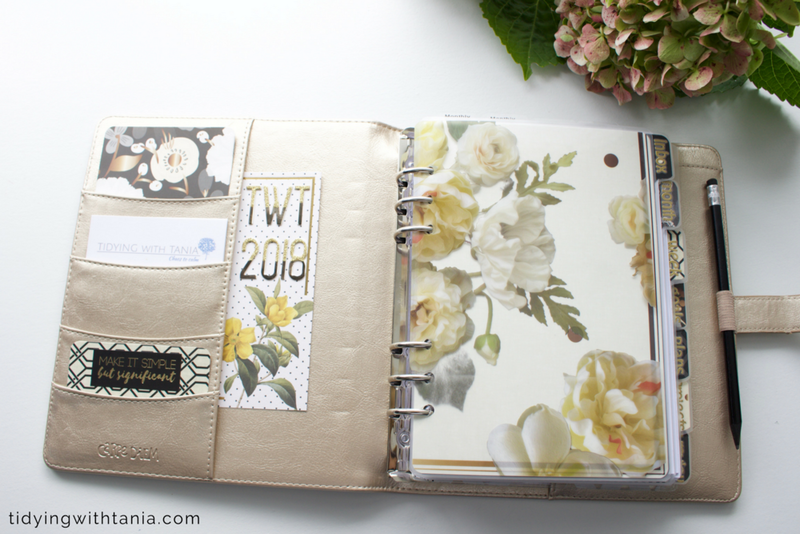 This planner has to incorporate "the blog" as well as all my "business" goals and planning. For me this planner needs to be highly motivational to enable my inspiration so I need to really love working with it but it also needs to be functional and mean "business".....got my business socks on! The inserts are mainly from Designerblogs.com , they are specifically designed for bloggers and I love the style of the inserts. They are functional and stylish, my ideal combination. I have also made some others myself on Google docs. The dividers I made from card stock that I purchased and laminated. I get my card stock from Spotlight and also Warehouse stationery. I love the colours and patterns as they go with the planner itself Carpe Diem and my business mentor work book Your Best Year 2018 . I am using a Kikki.k large personal planner similar to this one . All the inserts are Kikki.K and came with the planner. As I love to personalise my planners, as with the others I have made my own dividers. I got this great card stock that is themed on Coffee from the Warehouse Stationery which is perfect for a work planner!. Functional and stylish combination..boom!. I am in love with the grey and pink and this goes well with my "pink" summer bag. Well folks that's the overview of all three of my planners done. Let me know what you think. 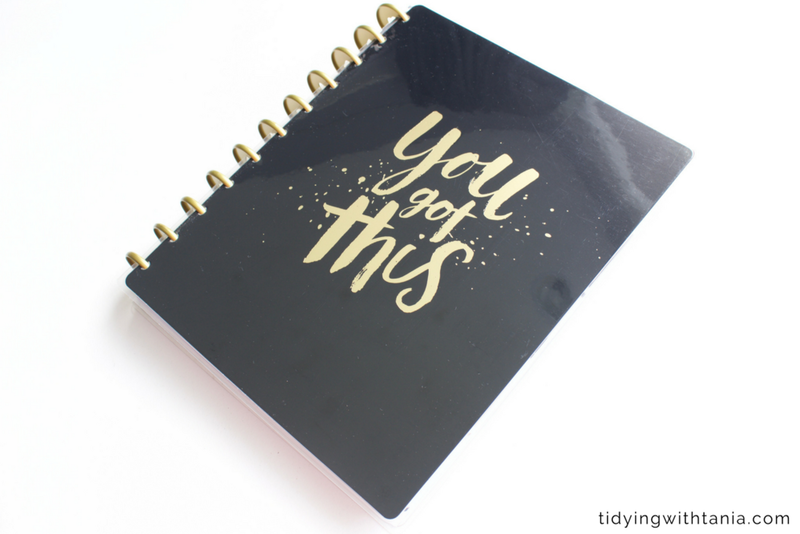 Has this inspired you to start using a planner? Need any help with choosing a planner? How to use it? Just drop me a line, you know I love planners so would love to help. Also share what planners you use and how you use them. Have a fabulous week and we will catch up in my next post. Final note, don't forget to check out the details on the amazing giveaway that I have for this month.....see all the details below.